NORWALK, CT – October 8, 2008 – According to a new Report from Irving Levin Associates, a total of 251 mergers and acquisitions were announced in the health care industry during the third quarter of 2008, an 8% decrease from the 274 deals announced in the prior quarter. However, based on preliminary figures, a total of $88.9 billion was committed to fund the third quarter’s M&A activity, a 3% increase over the prior quarter’s $86.2 billion. It also represents a 20% increase over the $74.2 billion spent in Q3:06 and a 78% increase over the $49.9 billion spent in Q3:07. Despite the credit crunch, M&A activity in the health care industry remains robust. <1% Managed Care 372,000,000 <1% Physician Medical Groups 112,300,000 <1% Labs, MRI, Dialysis 46,000,000 <1% Behavioral Health Care 13,420,000 <1% Home Health Care 11,900,000 <1% Rehabilitation 2,425,000 <1% Other Services 3,817,250,000 4% Services subtotal $ 6,207,297,000 7% Biotechnology $ 56,435,828,047 63% Pharmaceuticals 22,377,914,600 25% Medical Devices 3,569,445,200 4% e-Health 378,200,000 <1% Technology subtotal $ 82,761,387,847 93% Total health care $ 88,968,684,847 100% *Preliminary Figures The health care technology segment attracted the largest amount of capital, capturing nearly 93 cents out of every dollar invested in health care M&A.The number of deals announced in each sector of the health care industry appears in the chart below, along with comparisons to the prior quarter (Q2:08) and the year-ago quarter (Q3:07). The Health Care M&A Market Q3:08 – Deal Volume By SectoR Q3:08 Q2:08 % Q3:07 % Sector Deals* Deals Change Deals Change Services Segment: Long-Term Care 16 21 -24% 32 -50% Home Health Care 14 13 8% 12 17% Hospitals 12 13 -8% 19 -37% Labs, MRI, Dialysis 11 11 0% 12 -8% Physician Groups 9 14 -36% 12 -25% Behavioral Health Care 4 3 33% 3 33% Rehabilitation 8 4 100% 6 33% Managed Care 3 3 0% 8 -63% Other 37 35 6% 29 28% Services Subtotal 114 117 -3% 133 -14% Technology Segment: Medical Devices 45 53 -15% 46 -2% Biotechnology 37 44 -16% 26 42% Pharmaceuticals 36 39 -8% 57 -37% e-Health 19 21 -10% 15 27% Technology Subtotal 137 157 -13% 144 -5% Grand Total 251 274 -8% 277 -9% *Preliminary Figures These results indicate strong activity in health care M&A despite the crisis that plagued the capital markets in the third quarter. “The historically low dollar, coupled with downward pressure on valuations, has created many attractive opportunities in the U.S. market,” stated Sanford Steever, Ph.D., editor of The Health Care M&A Report. “Foreign buyers, often with deep pockets, are making record investments into the U.S. health care industry through mergers and acquisitions,” added Mr. Steever.The technology sectors of the health care industry are providing strategic buyers and investors with many acquisition opportunities. “Big pharma has been pouring billions into acquiring biotech companies because their drugs will replace blockbusters going off patent and they are technically difficult for generic companies to copy,” commented Stephen M. Monroe, managing editor at Irving Levin Associates. “The Medical Device and e-Health sectors also continue to attract M&A dollars because the products and solutions they offer can make health care treatment, its coordination and its delivery more efficient and cost-effective.”“While companies need to get more creative in financing deals in the current credit turmoil, the underlying reasons to pursue health care mergers and acquisitions remain firmly in place: to consolidate fragmented providers, to achieve economies of scale, to meet increasing demand for services and new technologies, to name just a few,” summarized Mr. Steever. “Although the health care M&A market isn’t a perpetual motion machine, it is doing a pretty good imitation of one.”For more information on The Health Care M&A Information Service, The Health Care Acquisition Report or for a subscription to any Irving Levin publication, call 800-248-1668. 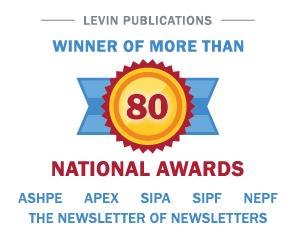 Irving Levin Associates, Inc., established in 1948, has headquarters in Norwalk, CT. This privately held corporation publishes research reports and newsletters, and maintains merger and acquisition and venture capital databases, on the health care and senior housing markets. Click here to get more information on any of our Publications.